Why did we name the charity In-Visible? Children in poverty are made to feel invisible within society. But we see them. We stand by them. So stand with us. We’re providing hope and essential resources to those who need it most. In-Visible is a UK registered International charity founded in September 2013. We are based in London, UK with programs currently running in both the UK and the Philippines. Our entire organisation is run by unpaid volunteers and 100% of donations go directly to the aid programs we run. Any operational costs are funded privately. We’re on a mission to re-invent charity for our generation. We like to think outside the box when it comes to tackling poverty. We are a diverse team of world-changers and visionaries with expertise in everything from psychology to fashion, philanthropy to health, advertising to journalism and finance. We do this by creating partnerships with communities and implementing programs which will improve quality of life and invest in the future of locals. We want to bring real and lasting change to children in poverty. We do this by creating strong bonds with communities that are exposed to the daily struggles of living in poverty. By implementing self sustaining programs that cost very little to run we are able to help them combat these struggles. 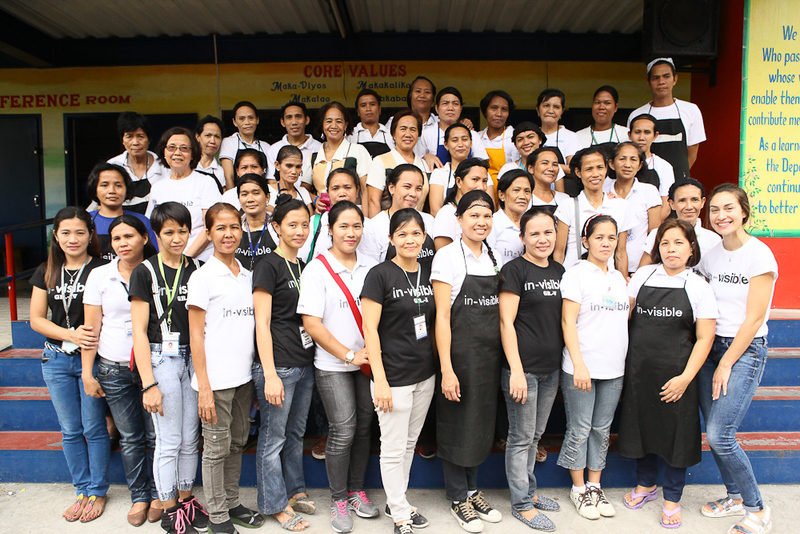 There is no quick fix to poverty which is why our projects are managed by volunteers in the Philippines and supported by the In- visible team in London and Hong Kong. Our vision is a global community, free from poverty, where children have the opportunity to reach their full potential and provide them with the chance to grow up healthy, educated, succeed and contribute to society.